As a homeowner, you surely know how important it is to have your house properly insured. Without homeowner’s insurance, you could potentially lose everything you’ve worked so hard for, should a fire, flood, or other disaster strike. The only problem is that homeowner’s insurance can be expensive, with average annual premiums ranging anywhere from $1,000 to well over $3,000 a year, depending on the value of your home and where you live. Moreover, certain risk factors and the overall condition of your home can also contribute to dramatic increases in your monthly insurance premiums. Luckily, there are a number of ways that you may be able to lower this risk and thus hopefully qualify for reduced insurance premiums. Most homeowner’s insurance policies don’t cover against flood damage, which is why many people living in flood-prone areas choose to purchase supplemental flood insurance. Unfortunately, this type of insurance can be costly, especially if you live in a flood plain or coastal area. Still, there may be a few ways that you can help reduce your flood insurance premiums. Consider installing backflow valves on your sewage and water lines, or adding foundation vents to allow water to flow through your house in the event of a flood. Additionally, you might even consider using columns or piers to raise your home above the flood level if you live in an area that experiences frequent flooding. Many insurance companies may be willing to offer you lower premiums if you upgrade your house to include various home security features. Having hard-wired smoke detectors is one thing you should definitely consider since this can lower your risk of a catastrophic fire. Even better is if the smoke detectors are connected to a security system that allows the fire department to be automatically notified the moment the smoke detector goes off. Other potential upgrades you might consider include high-security deadbolts, window locks, and burglar alarms. 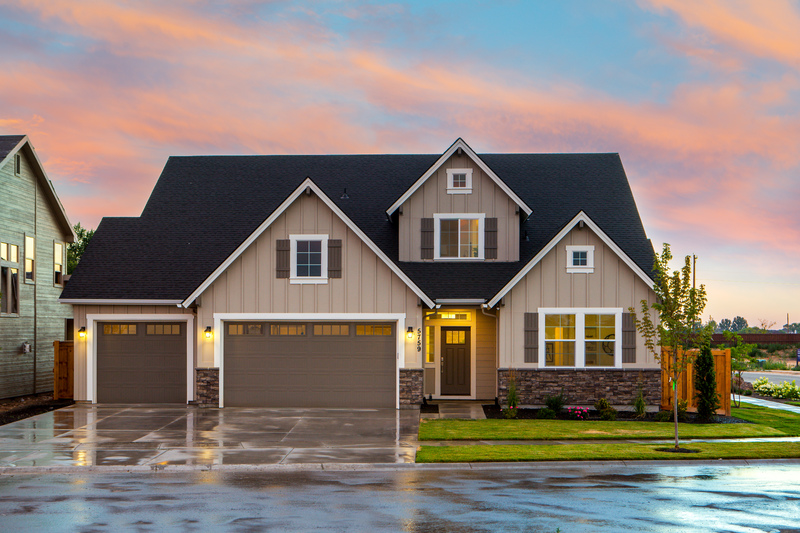 High winds, heavy rains, and major storms can wreak havoc on your home’s roof, which is precisely why many insurers charge higher premiums for homes where the roof isn’t in the best condition. Therefore, it can be useful to contact a roofing contractor to repair any damage or potentially re-roof your house. Still, if you live in areas that are prone to hurricanes, tornadoes, or other big storms, it might also be a good idea to have your entire roof reinforced, as this can help to prevent it from suffering major damage during a storm. Living in the mountains, forests, or other areas that are at risk for wildfires might be another reason your insurance premiums are so high. In this case, it can sometimes be helpful to show that you’ve taken steps to reduce the risk of a fire reaching your home. This includes regularly cutting down any brush or tall grass, as well as removing any dead or dying trees from your property in order to create as effective of a fire barrier as possible. There is no doubt that homeowner’s insurance is an added expense that most people would prefer not to have. Still, the financial consequences of not having insurance could be catastrophic if you’re unfortunate enough to face a fire or other disaster. Therefore, your best bet is not to go without insurance, but to instead make sure your home is in good condition and employ any tricks that might be able to help you lower your premiums.